To make sure India does not repeat the Perth errors, this Christmas, Kohli does not deserve a Santa Claus, he needs a Terence Fletcher from 2014 film Whiplash, who could tell him that he made a mistake and he needs to undo it quickly. Virat Kohli is in Australia and is facing the flak yet again. He has been there a number of times now, and almost always has he been criticised for his unwanted on-field behaviour. While his batting has not been a problem Down Under, it is the tag of 'çaptain' that is going to haunt him in the coming two weeks as we head into the latter half of the Test series. His on-field behaviour does not help much in shedding that load off his shoulders either. It only took a week to change perceptions about the Indian cricket team and its captain's leadership. 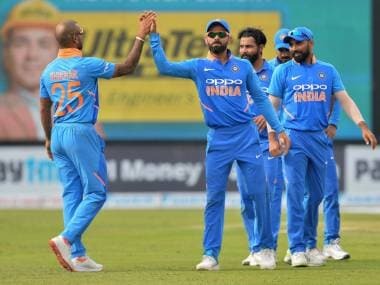 After Adelaide win, praises were heaped on the visitors as the team had started the much-awaited series on the right note. Indian head coach Ravi Shastri was so elated by the victory that he went on to say what he said. But if one digs deep and keeps the humour away, it becomes apparent that the attitude of coach and captain has ultimately damaged the team's outlook instead of building a positive vibe. For Virat, captaincy comes with a definition written in his own dictionary. In the second innings at Perth, when things started going awry for Indians as Tim Paine and Usman Khawaja dug in, the Indian captain came to his best - or worst - inelegant self. He would make a comment or two and Paine would pass a smile. It did not take long for Paine to start giving it back to Kohli. There were no heated exchanges, no abuses hurled; just a banter. Former England captain Michael Vaughan said that Kohli is what the Test cricket needs. He is animated, celebrates the wicket taken by his bowlers as if they are his own, never misses an opportunity to take a jibe at the opposition. Australia coach Justin Langer too came out with a strong defence of both the captains, saying whatever happened between Paine and Kohli at Perth was humorous and not abusive. Of course, it was not. However, at a time, when the captain of the side should be looking to work on his tactics to break the partnership, he was busy taking sly digs at the opposition skipper, who he obviously thought is the weak link in the Australian team. There is a negative buzz in the Australian media about Kohli for shaking hands half-heartedly with Paine. Mitchell Johnson went on to say that what Indian captain did was silly. He said, "Virat Kohli could not do that with Tim Paine, shaking the Australian captain's hand but barely making eye contact with him. To me, that is disrespectful." The reactions on Kohli might not be true but they come out of the fact that the 30-year-old, not too long ago, went on to say in a press conference that he could not be friends with any of the Australian players. While that is a thing of past, the statement reflects his attitude after a heated moment or two in the field with an opponent. Perth is done and dusted now. We have the result in front of us. Paine has led this team to a spectacular win, without Steve Smith and David Warner. It would be an awful waste of one's common sense if we believe that Paine and Co cannot lose in Melbourne and Sydney, but one needs to admit that hosts are in better shape and state of mind. Talks are on in India and abroad that Kohli lacks the leadership skills but the real problem is much bigger. The main accused here is the Indian captain's ego, which is being constantly fed by the yes-men around him. And those who take stance have been shown the door. We need not take that name again. With your permission, I would like to cut to a very different world. In one of 2014's best films Whiplash, directed by Damien Chazelle, there is a scene that fittingly explains Kohli's problem with the captaincy. In this particular scene, music conductor Terence Fletcher, played by brilliant JK Simmons, a hard taskmaster, is conducting a musical ensemble when a tune goes missing from the piece. Fletcher instantly catches the mistake and asks the musicians to stop, and searches for the culprit. He eventually finds the wrongdoer after grinding every member in the ensemble and asks the offender to admit to his error. On not getting the answer, Fletcher loses cool as he realises the matter is worse than a mere missing of a note. He says, "Now, either you are deliberately playing out of tune and sabotaging my band, or you don't know you are out of tune." Turns out the culprit did not know he was out of tune and is thrown out from the band. Cut to Perth, at the end of the Test match, a question was asked to Kohli in the post-match presentation. Did he miss playing a spinner? "No," he replied. "In the past when we have played four quicks, we definitely haven't been as consistent as we were in this game. So, I think they were pretty accurate, pretty consistent and we were convinced about going in with four fast bowlers looking at the conditions." Kohli went on to back his strategy of playing no spinner on the Perth track, where Nathan Lyon, a spinner in opposition's ranks ended up with 8 wickets including the five-wicket haul in the first innings. Lyon, in case you don't know, depends solely on off-spin. Backing his strategy, he maintained the stance, "We didn't want to think that we definitely wanted to consider a spinning option on this pitch, especially having a look at the pitch on day one and how we thought it would play on the first three days, and exactly played out that way. We thought a fast bowler is going to be more productive and more helpful for us as a team." Here, as Fletcher would put it, Kohli did not only miss the note, he does not even know the tune. Someone needs to ask him, "Does he know the tune is missing or he does not even know the tune?" But who would that be? Connect the dots now. Join his inability to bring about a tactic in a match to his boorish behaviour on the field, and it is a combination that will hurt Indian cricket team for ages. It has hurt the team enough this year. Here is a man for whom the aggression and anger work when it comes to his batting. 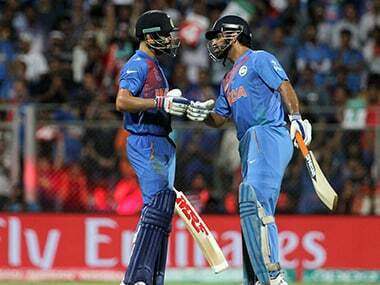 It is a sight to watch when Kohli hits the cover drives and pulls to reach his centuries. But does the same aggression as captain work for him and his team? Seven losses in overseas Tests this year thus far give us an answer. For all the argument about India's great run in Tests, the big wins against New Zealand, England and Australia at home have been fooling us for while now. It made us the World No 1 team and the tag seems to have stayed because the other teams kept on doing a little worse than Indians as many of them went through a period of transition. But you can see England winning in Sri Lanka and New Zealand beating Pakistan in their adopted home. The scene in Test cricket is quickly changing and we might soon see the World No 1 tag going away if the Indians continue to lose abroad in this manner. Kohli loves the camera and his aggressive self helps him stay the batting champion on a cricket pitch and in the advertising world alike. His animated on-field behaviour might work well for his batting, boost his PR, make him the king of Indian advertising, but it affects his captaincy in a big way. We have compared Kohli with Ponting and the comparison stays. The only difference between the two is that Ponting ruled the world with the great team at his helm. While on the other hand, Kohli continues to lose abroad with a great team. And that is a big concern that India have. They might have won a Test each in South Africa, England and Australia - a very rare feat in Indian cricket - but it should not paint a misleading picture of this team which can do great things but is limiting itself to just good things. 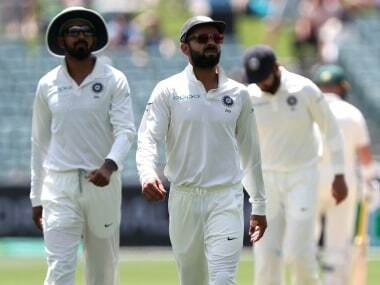 To make sure India does not repeat the Perth errors, this Christmas, Kohli does not deserve a Santa Claus; he needs a Terence Fletcher, who could tell him that he made a mistake and he needs to undo it quickly. You can easily see the scoreline at the end of the series to know if Kohli has learnt his lessons.